Okay, you've heard of people using solfege, and you wonder what all the fuss is about. Or maybe you've tried using it without success, only to find that it slows down the learning process for your singers. Regardless of why you may not use solfege as a part of your rehearsals, I'd like to suggest a few ways to get started. First, you must familiarize yourself and your singers with the syllables themselves. Depending on their age and ability, begin with putting a few (or all, if they are advanced) of the syllables on the board at a 45 degree ascending angle. I got this concept from my professor at The University of Kentucky, Dr. Jefferson Johnson. Putting them at an ascending angle allows singers to see that notes go up or down in pitch while also enabling them to see you point at the syllables. Then, point at a few syllables while singing them. For example, I may start with simply "Do-Re-Mi-Re-Do". Gradually, I would add syllables, first in step and then in leaps. This would happen over a series of days and maybe even weeks as the intervals became more difficult. It may be better to only use notes of the Pentatonic scale with younger students for a while before singing the whole major scale. Regardless of how long you spend on this step, the goal is to attain proficiency in syllables, their sound, and relationships before you move on. Now that your singers feel very comfortable and confident with the syllables, you may want to add Curwen hand signs. This is particularly useful for visual or kinesthetic learners. For these to be as effective as possible, make sure you go up and down as the notes go up and down (and at equal intervals). You can do many different exercises with hand signs. One is simply singing AND signing a pattern of a few notes, then having singers repeat back. A more advanced version of this would be simply signing the hand signs in a pattern and then having singers sing and sign back. You could sign and have them sign back, too. All of these are ways to more deeply ingrain the solfege into the minds of your choir. Use of these hand signs is debated within our field, some strongly in favor of their use and others strongly opposed to them. Research on their efficacy in the Journal of Music Education by multiple authors suggest that they either do not have a statistically significant effect on tonal ability or have a very slight impact. I make all of my students learn them, and then let those for whom they are helpful use them. Students who find them to be a an impediment do not have to use them unless we are doing an exercise specifically focused on using them. Once you have done a few rehearsals with hand signs, you can apply the solfege to actual music. Be sure that your examples are simple, have easy rhythms, and are in a key signature your choir knows. For most high school groups, this would be C major. Not only is the key signature one of the first one learns, but it is also in a good range for most singers. Middle school singers may find F major to be an easier key in which to sing because many developing voices do not have the low C (or D...or E sometimes for boys!). At this step, it is particularly important to set your students up for success. Make your first few passages completely stepwise and keep them within the octave. 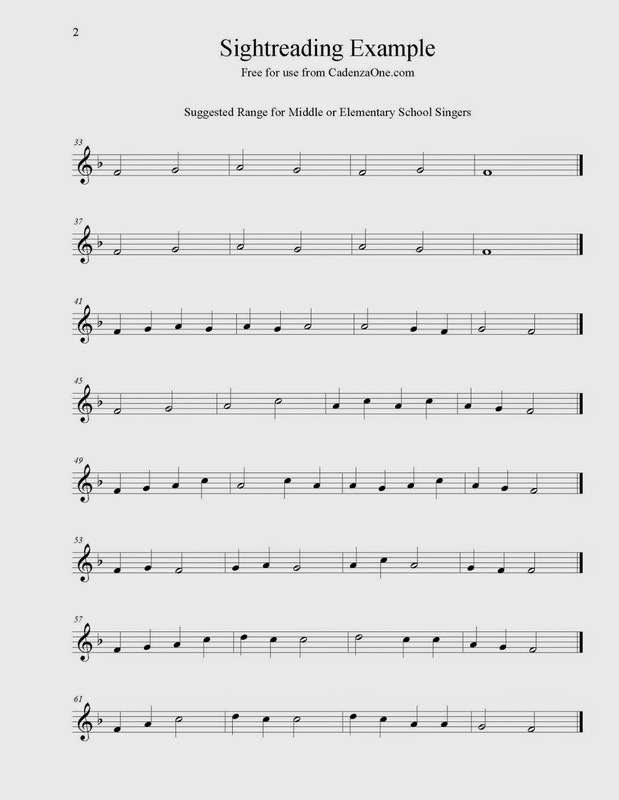 As I mentioned earlier, middle and elementary school singers may have the easiest time if you only use notes in the pentatonic scale (Do, Re, Mi, Sol, La). The added advantage is that this has is a reduced range. 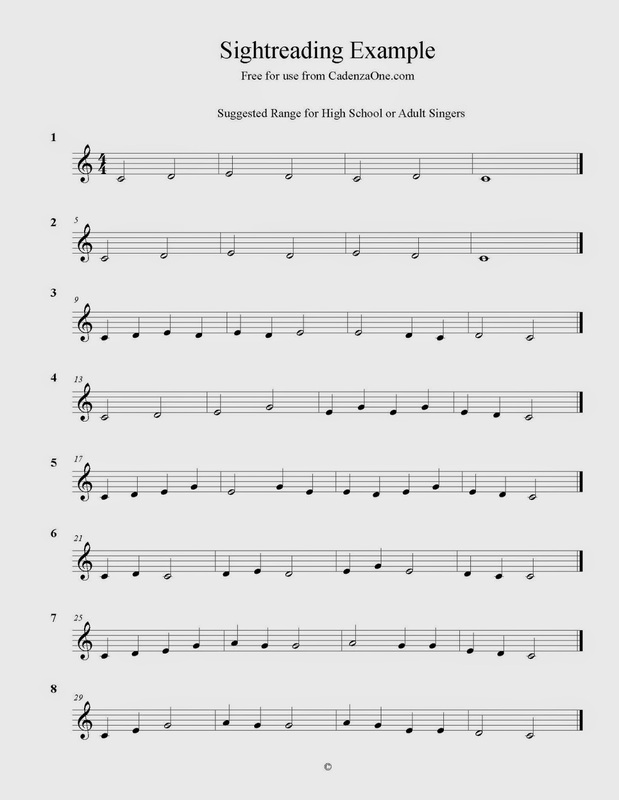 To help you get started, here are a few free sightreading examples. In future posts, I'll explore how to continue to expand your choir's sightreading ability with solfege. Also, please comment below if you have a great method and are interested in writing a guest blog.